The Farm to Vape (FTV) kit is designed to turn your herbal concentrates like wax or oil into liquid. The Farm to Vape Kit comes with 10ml of FTV Thinner and a boil-able glass dropper bottle for mixing/thinning your concentrates into the perfect liquid consistency. 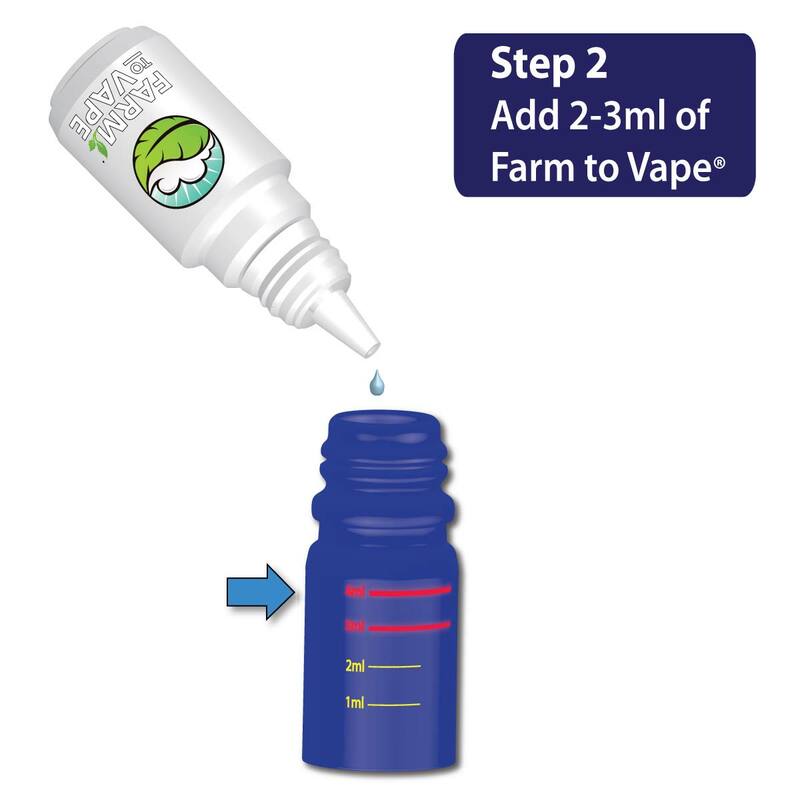 The revolutionary FTV dropper bottle boil method makes thinning wax and oil quick and easy. 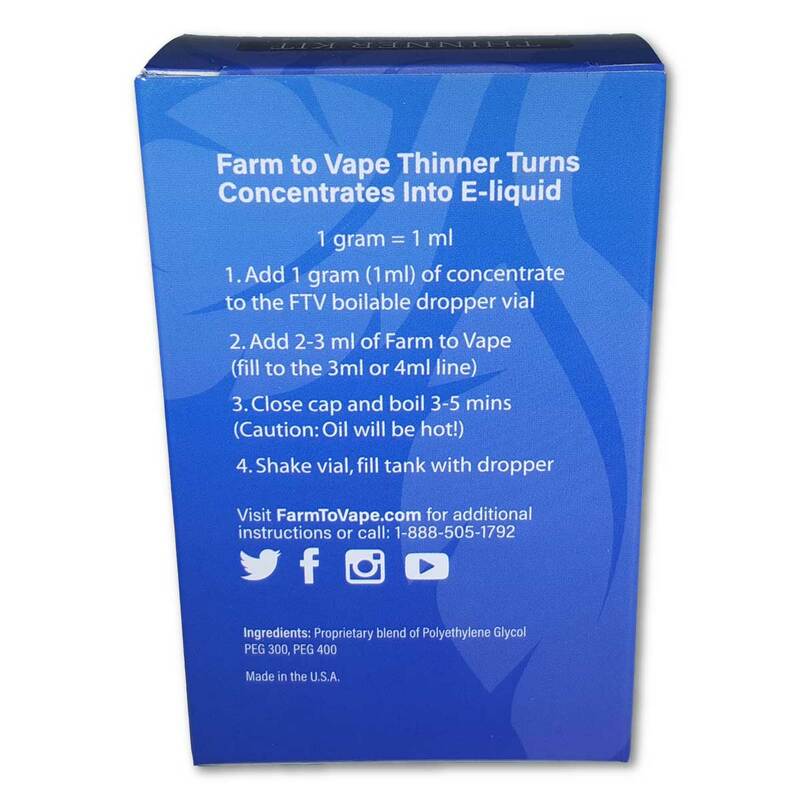 Just place your concentrate in the dropper bottle, add two to three times as much FTV Thinner as you did concentrate. Close the cap. 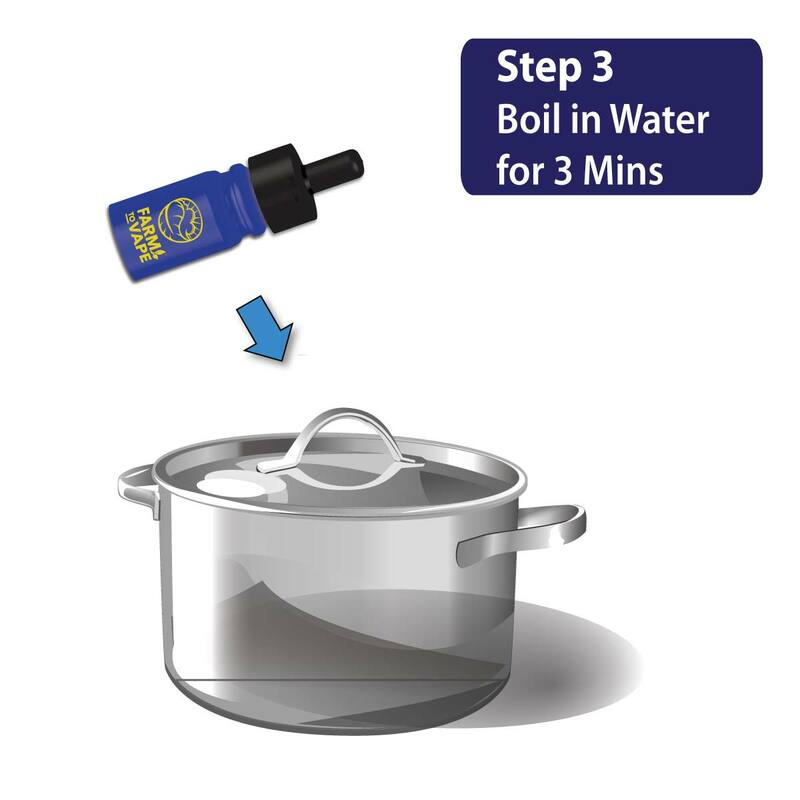 Submerge in boiling water for three minutes (caution this oil will be hot, this should go without saying, but we are saying). Done, ready to fill your tank! It's that easy. 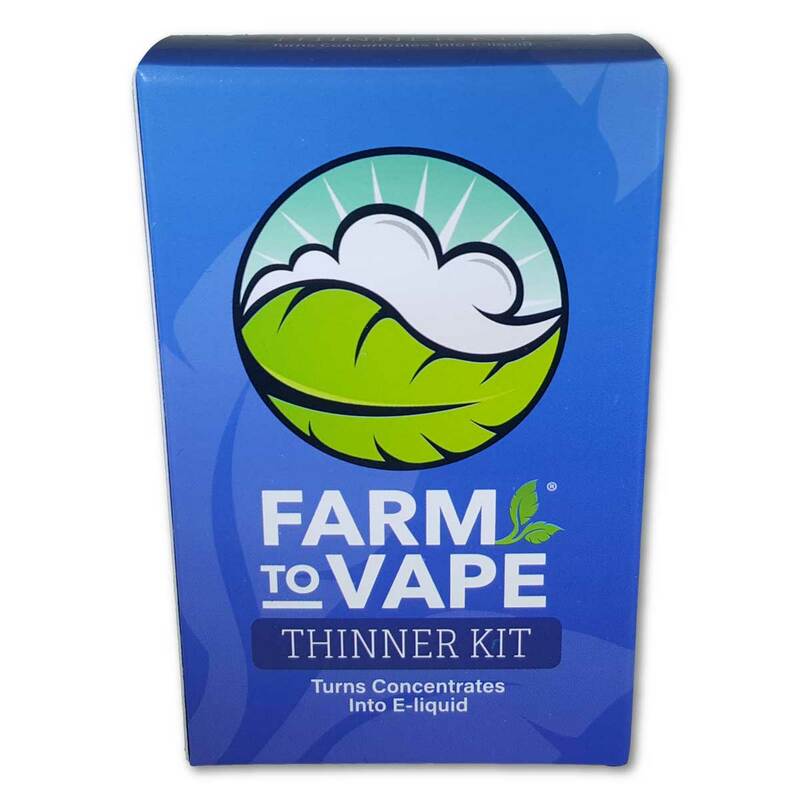 FTV Thinner is made from our proprietary blend of U.S.P. 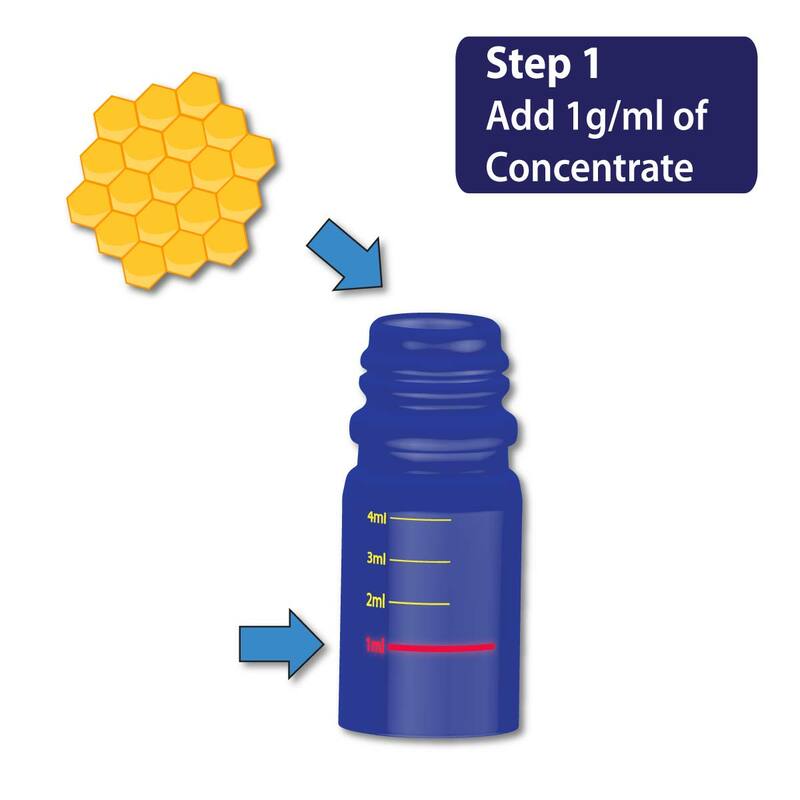 Polyethylene Glycols PEG 300 and PEG 400 and is designed to match the molecular weights of the active ingredients in herbal concentrates. Made and bottled in the USA. 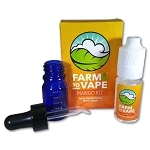 I heard about farm to vape through a friend after searching online for PG/VG mixes for concentrates. Honestly, this is the only true mix we could find. The others had lengthy instructions that require multiple orders from different websites. Once delivered (in 3 days) it only took me 10 minutes to open the box, read the easy instructions, and have my eCig loaded and ready to go. It made SXSW way more enjoyable haha! You can't beat this deal! Thanks Farm to Vape! Thanks for making this product! I have been trying to find a way to mix my wax into e liquid, and this is perfect. It was really easy, added wax and the juice, boil and done. Works great in my vape and i can vape anywhere now. Thanks! Waited 4 days to get the kit and was excited when it arrived. Simple, user friendly, and works fast! And free shipping to boot!!! Love love love the kit. Definitely going to buy the bigger bottle to keep on vaping! I think this is a great step in the right direction. It WORKS. First and foremost, it works. FOLLOW the instructions. Any deviation can lead to a less than happy experience. I know because I wanted to try to improve on it. I want to flavor mine, and have found concentrated flavor will work best. Ok, but besides that, using this product will not give you the big plumes you might get from ecig juice. This is because there is not vegetable glycerin in the product. A mix of these to give it a bigger cloud would be nice. Will be something I experiment with soon. Great product, but would like bigger clouds. I like everything about it but the brown bottle that is hard to see thru. Q: I would like to say to everybody out there that this product works!!! After researched alot about mixes for pg and vg I went ahead and bought the kit flavorless to try out. Made my cartridge with in 5 min filled and ripping like a champ. Love this product! I reccomend it to anybody trying to make dab/wax e-juice in a matter of minutes. Thanks so much FARM TO VAPE!!!!? A: Thanks for the kind words! You're welcome!! Was this answer helpful? 31 of 38 Customer(s) found this Answer helpful. 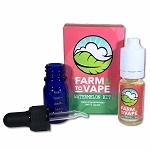 Q: Can you mix the end product with any other e liquid or your own flavoring in your tank? 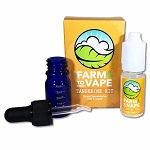 A: Hi, you can add flavored VG/PG to Farm to Vape/concentrate, but it will separate.. One work around is adding a few drops of the flavored VG/PG to your tank that you know you will vape before day's end. I wouldn't recommend trying to store a PG/VG/PEG mix for any length of time though. Hope this helps! Q: How many vials can a 10 ml usually fill for e cig? Was this answer helpful? 11 of 27 Customer(s) found this Answer helpful.